Girl, Don’t Ask for Permission. Run for Office! Home/Campaigns, Uncategorized, Women to Watch/Girl, Don’t Ask for Permission. Run for Office! A’shanti would know. She’s an expert. 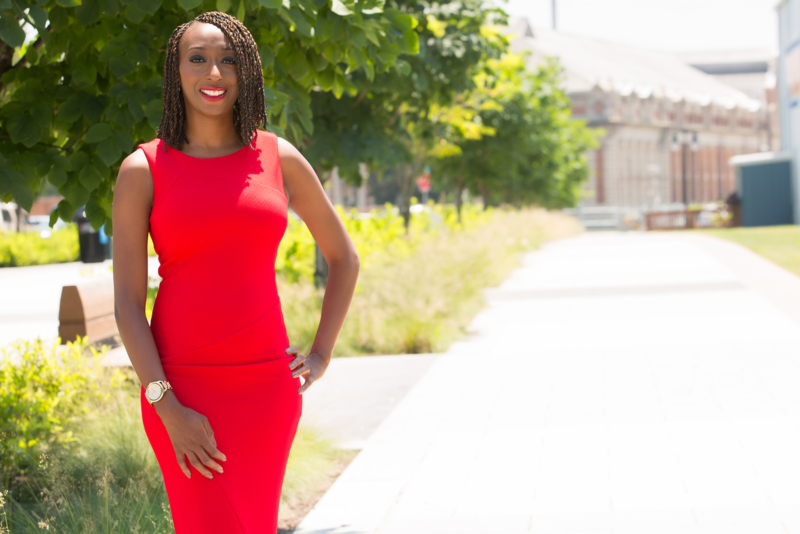 She is the national political director for Emerge America, the only nonprofit in the U.S. dedicated to helping Democratic women run for office, and founder of The Brown Girls Guide to Politics, the blog she created after realizing there was nowhere for women of color to turn to for advice on how to get involved in politics. Prior to that, she served as National Deputy Director of Community Engagement and Director of African-American Engagement for the Democratic National Committee. In short, she’s a fabulous resource. Know it’s never too late to carve out a place for yourself.There’s a role for everybody, and we need you. While you probably won’t start off with a run for office, consider the things you can do to build a network and get your name out there. Volunteer or take on a staff role for a campaign. Get involved in local government. Local boards and commissions are always looking for fresh voices. Or start amplifying campaigns and issues on social media. Become part of the conversation. It won’t happen overnight.As with anything, you have to put in the time. If you don’t have experience being part of a campaign, you can’t apply for a staff role thinking you’ll immediately become manager for a large campaign, for example. That’s where volunteering comes in. When a job opens up, people will remember that you knocked on doors and phonebanked. Build that credibility first. Get your name out there. If you’re a person of color, you CAN get elected to represent communities where a majority of people don’t look like you. Don’t let anyone tell you otherwise. People don’t have to represent communities that reflect their own background; in fact, many communities recognize and appreciate the value that someone without their exact same lived experience brings to their community. Find a mentor. There are so many talented people out there who would make excellent representatives and what they need is encouragement and a network of support. There are a lot of organizations dedicated to providing that support. The organization I work for, Emerge America, is one of them for women who want to run for office. And, finally, the most important thing: don’t wait for permission. Lots of people will try to discourage you. They’ll tell you that you can’t win, and they’ll have plenty of reasons why, but just look at history: where would we be today if all our change-makers had waited for permission, if they’d listened when someone told them no. This is interesting because it’s the same thing that former candidate for Congress Jenifer Sarver said when we interviewed her earlier this year. If you’re a female #Firestarter who is running for office, let the #MovementMakerTribe know. I’d like to feature you on our Facebook Group. It doesn’t matter your political party, I’m all about Girl Power!